Gameboygeek Loves The Big Score! Gameboygeek calls the The Big Score a Sax Serenade Keeper! That’s their highest honor. Yes, the review actually contains saxophone music. See for yourself in the video below. The vault at Centennial City Bank is holding a record amount of loot. As a notorious crime boss, robbing the vault is always on your mind. But the job is too big for just one crew. Gather your friends to become rival crime bosses and work together to pull off the biggest heist the city has ever seen. Once you and your new partners in crime are inside the bank vault, it’ll be every boss for himself! Will you escape with more loot than your rivals and win The Big Score? The Big Score is played in two distinct halves, Act I: The Small Jobs, features card drafting while hiring and assigning crew to jobs. Act II: The Big Score, is what the first half of the game is building toward. It's the game's climax where players repeatedly push their luck under the ever-present threat of cops breaking up the party. The player with the most money at the end of Act II wins the game! 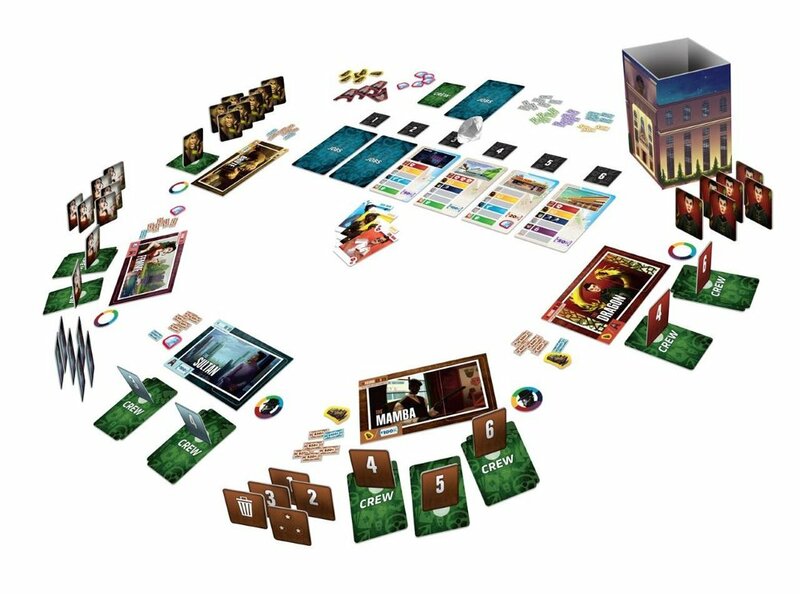 A separate rule booklet is included with The Big Score for unique solo play while maintaining the game's core concepts. We think you're going to love it! Can you pull off the big heist on your own? You can view a selection of the game's component's below in the sliding gallery, or visit The Big Score's What's In The Box page to view all the loot!